Big League Finance is an end-to-end platform that enables world class traders and respected financial authors to achieve their maximum success. The following sites are built, powered, and managed on the Big League Platform. Each are independently authored by their respective experts. Whether you're an advanced trader or just getting started, Bitcoin.Live will give your strategy an edge. A collaborative crypto-currency community moderated by outstanding (world renowned) trading and investment analyst. Great interactive educational content delivered on a beautiful and elegant platform designed from the ground up for this service. A finely curated trading educational service from a group of analysts with well over 100 years of collective experience. Scheduled live trading and educational events. Webinars, Q&A sessions with the Analysts. Blogs and forums. Peter L. Brandt entered the commodity trading business in 1976 with ContiCommodity Services, a division of Continental Grain Company. From his start in the commodity industry, Peter’s goal was to trade proprietary funds. Peter Brandt is a market and trading veteran of more than 40 years and has traded in five separate decades. He is a best selling author and his book Dairy of a Professional Commodity Trader was Amazon's #1 ranked book on trading for 27 weeks. Trading as a Business - "The Process of Trading"
Robert Alexander, better known as ‘Alex’ in trading forums, has been a full time trader for nearly a decade. He began trading in the late 1990s while working in sales at a well-known aerospace company. As his style evolved and his success grew, he left corporate America to trade full time. Alex’s early trading was hit or miss. With an evolving style and a busy work schedule, his results were uneven. Dissatisfied, he dove deeply into the methods of a number of successful traders – Jesse Livermore, Bernard Baruch, Dan Loeb, Nicolas Darvas, William O’Neil – and his trading quickly improved. Hungry to learn more, Alex attended a 2003 course in Technical Analysis that would prove pivotal in solidifying his trading style. He began to focus on breakouts and volume, developing a unique view of charting that enabled him to leave his formal job to trade full time. After more than a decade, Alex’s chart study remains the foundation of his trading style. In addition to his own trading, Alex is passionate about helping others. He spends countless hours in investing forums, sharing and explaining charts. Bull Bear Talk (BBT) is an everyday haunt. Alex lives in his native New England, where he enjoys outdoor activities, sporting events and spending time with family and friends. 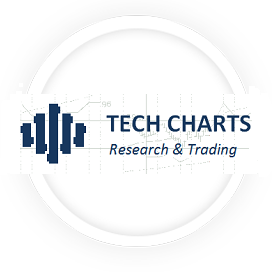 Tech Charts is a blog for technical analysis of currencies, commodities, equities and economic indicators. On this blog you’ll find several updates on different asset classes and widely followed economic indicators with different technical approaches. Bollinger bands and indicators will be frequently applied to identify short and intermediate term opportunities. Other tools will include basic trend lines, chart patterns and moving averages. Bob Loukas, is the founder of The Financial Tap. 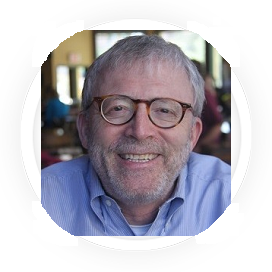 With over 20 years of experience in market analysis and trading, Bob is a life-long student of economics and has an abiding passion for the financial markets. He is a leading expert in Market Cycles. His love of Cycles emerged from the study of the work of Walter Bressert, a pioneer in the field. Originally from Sydney, Australia, Bob has been settled in New York City for the past 18 years. His background is in Computer Sciences, with extensive experience in the Financial Software arena. Prior to launching The Financial Tap, Bob served as a senior executive at various Fortune 50 firms where he led development of financial trading and reporting solutions. Extensive financial domain experience. We understand the financial world. Experienced development and technical staff. Social media and internet marketing management. Turn key billing, receipts, and subscription management solutions. KPI tracking and reporting. Custom white label help-desk services for each site. We manage your customer support. One on one (ongoing) success coaching on running an internet business. A unique partnership model where we invest in our clients and only profit if they're successful. Contact us via our logo link if you would like to discus how we could help you. 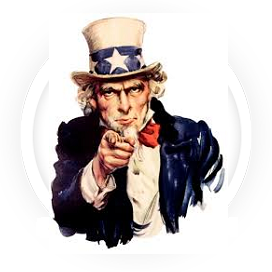 Are you a talented trader or a well known, respected financial author? Do you want to maximize the value of your intellectual property or enhance your overall brand?